The couple was soon tracked and held, along with the stolen jewellery, clothes and Mala's mobile phone, he said. 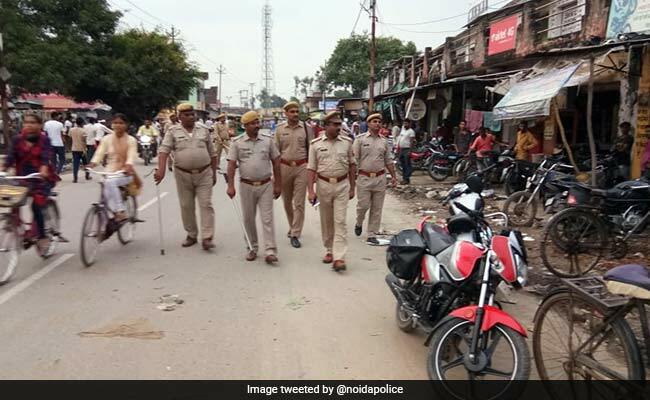 With the arrest of a husband-wife duo, the police on Monday claimed to have cracked a sensational case in which a pregnant woman's body was found stuffed in a suitcase in Ghaziabad. The arrested couple has been identified as Saurabh Diwakar and Ritu, who were staying in a rented accommodation in the same building as the victim, Mala, in Bisrakh area, said Gautam Budh Nagar Senior Superintendent of Police (SSP) Ajay Pal Sharma. Last Thursday, some relatives of Mala had come to visit her at her rented house. The woman, who had got married just few months ago, showed them her jewellery and expensive clothes, which caught the attention of her neighbour Ritu too. Ritu went home and told her husband, Saurabh, about it. The next day, on some pretext, she invited Mala to their home when her husband, Shivam, had gone out for duty, Mr Sharma said. "There they strangled her to death and stuffed her body inside the same suitcase in which she had kept her jewellery and clothes from the wedding. They took the items and her mobile phone and kept it with themselves," the SSP said. The incident took place at 9 pm, after which the couple went to Ghaziabad carrying the dead body in the suitcase. "From there, the accused woman had gone to her maternal uncle's house, while her husband had thrown the suitcase somewhere in Indirapuram." A missing report was registered at the Bisrakh police station the next day. The same day, an information was received about a woman's body being found stuffed in a suitcase in Ghaziabad. "When checked, the identity was matched with that of Mala's," Mr Sharma said, adding that Mala's parents had initially accused her husband and in-laws of killing her over dowry. During a probe, it was found that Shivam was at work during the time of the killing and he was released. But, it was found that Ritu and Saurabh had not returned home since the incident took place, raising suspicion, the officer said. They have been booked under Sections 302 (murder), 201 (causing disappearance), 316 (causing death of unborn child), 394 (robbery) of the Indian Penal Code and sent to jail, he added. For more Noida news, click here.